Earl J. Befort, age 92, of Munjor, KS, passed away on Monday, March 18, 2019 at the Hays Medical Center. He was born on January 16, 1927 in Munjor, KS to Jacob and Lidwina (Leiker) Befort. He graduated from Schoenchen High School. On November 10, 1955, he married Mary Ann Gabel. 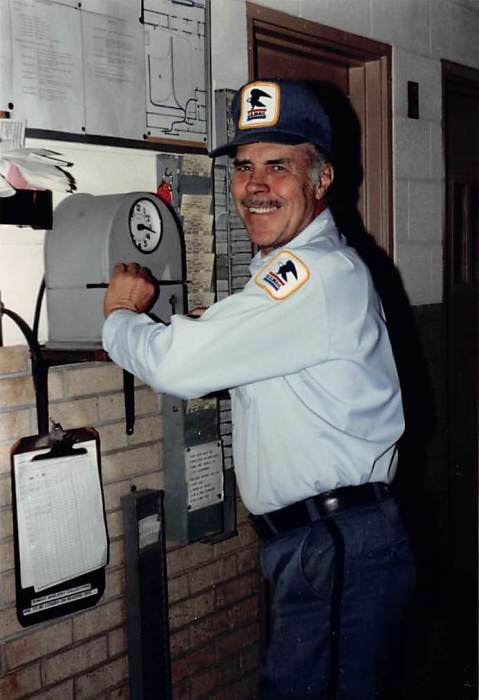 Earl was a mail carrier for over 30 years, primarily delivering mail in downtown Hays. He was a member of St. Francis of Assisi Catholic Church in Munjor and was a member of Singer Bund, which was a gospel singing group and had played in polka bands in his younger days. Earl is survived by his wife, Mary Ann of the home; two sons, Jake Befort and his wife Mitzi of Bison, KS and Lyle Befort and his wife Linda of Sublette, KS; one brother, Vernon Befort of Mechanicsburg, PA; six grandchildren, Amy Davidson and her husband Michael, Ryan Befort and his wife Sarah, Morgan Befort, Dusti Befort, Kali Befort, Dawn Befort as well as two great-grandchildren. He was preceded in death by his parents and two brothers, Donald and Marvin Befort. Funeral services will be at 10:00 A.M. on Friday, March 22, 2019 at St. Francis of Assisi Catholic Church in Munjor. Inurnment will follow services at St. Francis Cemetery-Munjor. A memorial visitation will be on Thursday, March 21 from 5-7:00 P.M. with a combined rosary and vigil service at 7:00 P.M. at Brock’s-Keithley Funeral Chapel & Crematory, 2509 Vine St., Hays, KS 67601. Memorial contributions can be made in Earl’s loving memory to TMP-Marian High School. Condolences my be left by guest book at www.keithleyfuneralchapels.com or by email at keithleyfuneralhomes@gmail.com. Brock’s-Keithley Funeral Chapel & Crematory is in charge of arrangements.